The other versions of Times Square Art I've produced were looking southward. This version, as the name implies, looks to the north on a Sunday morning. The farmer's market was going strong with a lot of tents on the street and thousands of people. This is an exciting, happy place and my intention is to convey the atmosphere of action and excitement. 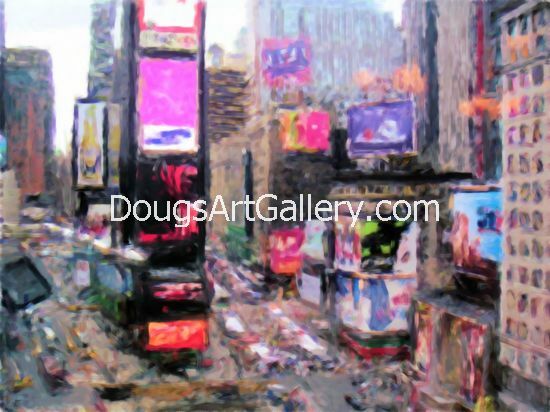 Click here to leave Time Square New York for more links to artists and their online art galleries, art prints and art posters. Browse the links found at the bottom of Home Page.